Life has a way of giving you surprises. Some good – some bad – take some, leave some. Today while sitting in my living room, I looked to my left out the window and noticed a visitor on our deck. 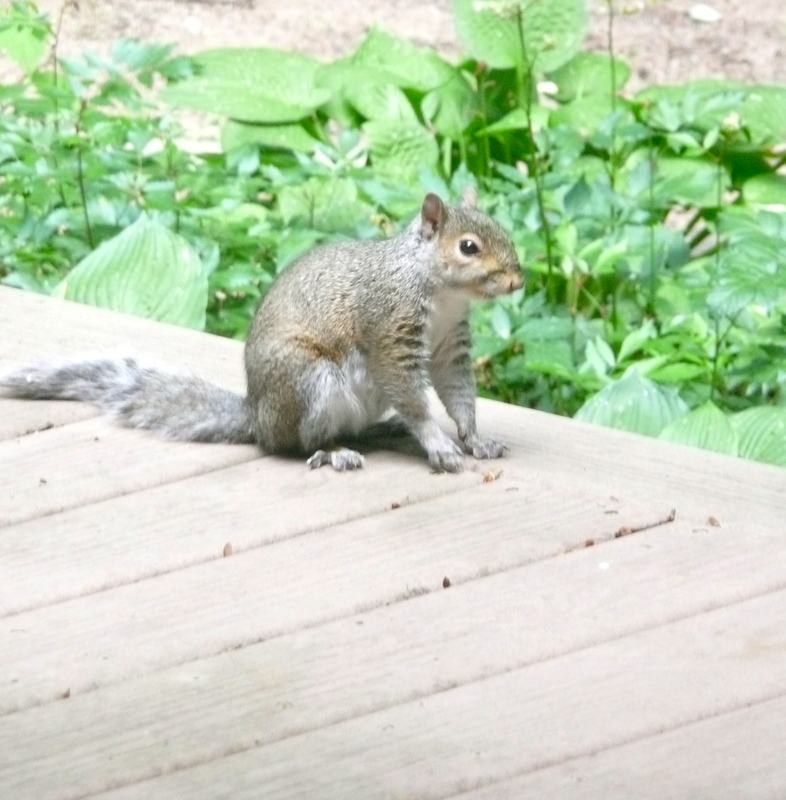 He was having such a good time eating the seeds that fell in between the boards of the deck. One time I caught him scooting along the deck, then he lay there and enjoyed himself for a bit. If only people could enjoy their lives as simply. I wonder what it would take for us to do that?